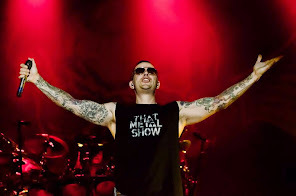 Lead vocalist and founding member M Shadows came up with the band’s name as a reference to the story of Cain and Abel from The Bible, whereby anyone who wants to kill Cain will be “avenged sevenfold”. Lead guitarist Synyster Gates comes from good entertainment lineage. His dad, Brian Haner Sr., is better known as “Guitar Guy”, warm-up act and musical accompaniment for world-famous comedian Jeff Dunham.